JaJangMyeon (자장면) is the most popular Korean style Chinese food in Korea. 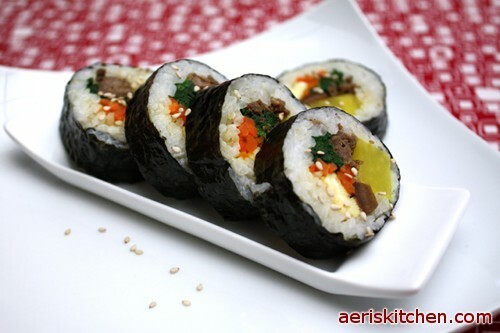 This is made of mainly black bean paste, meat, and different kinds of vegetables. In Korea, you can easily order JaJangMyeon (Black bean paste noodles) from the Chinese restaurants. Then they will deliver the food to your house only for 3 or 4 dollars without any tipping. Typically, Korean style Chinese restaurants serve JaJangMyeon with Yellow Pickled Radish (DanMuJi), radish kimchi (KkakDuGi), and raw onion with black bean paste, which you will use to make this recipe. 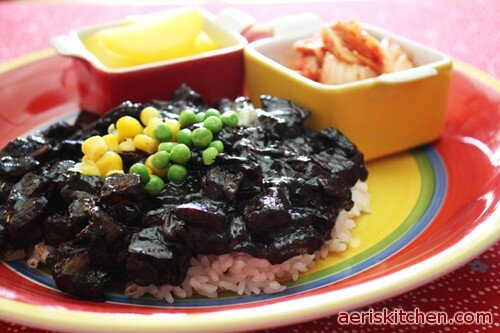 Dip the onion into the black bean paste when you eat JaJangMyeon. 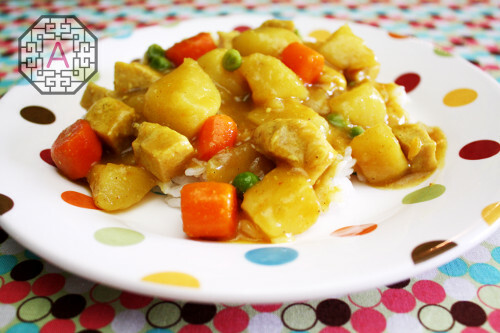 Garnish with cucumber or peas. 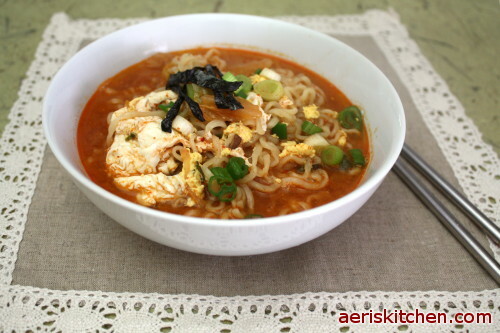 Cucumber tastes especially good with this JaJangMyeon. Just yummy Korean food this time. Kimchi fried rice. Like Kentuky Fried Chicken, only different. 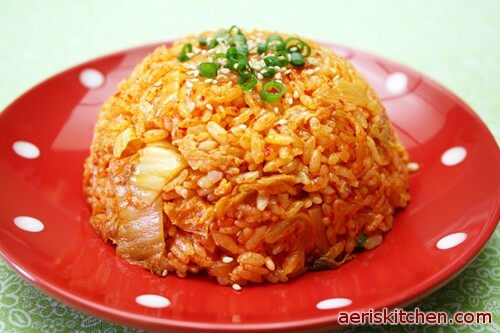 😀 For delicious fried kimchi rice, I want to tell you several things. First, good kimchi makes yummy fried kimchi rice. Well fermanted kichi is the best. Another thing is..Frying the kimchi first is important – don’t cheat. 😛 I prefer to fry my rice a little crispy which takes longer to cook. (patience … hehe) You can add more sugar or salt depending on your taste.